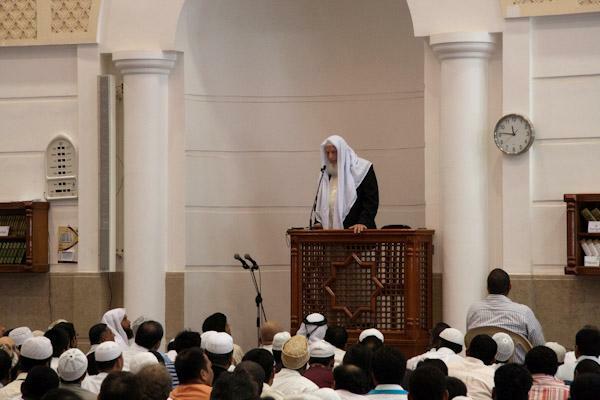 The imam is on the pulpit delivering Friday Khutbah. One of the most important aspects of worship performed on Friday is the deliverance of Khutbah (sermon). The majority of the people of knowledge are of the opinion that Friday Sermon is obligatory and they support this by an authentic hadith which state that the Prophet (peace be upon him) always made the khutbah with the Jumu`ah. This verse contains an order to hasten unto the remembrance, which implies that it is obligatory, and (the scholars) interpret the remembrance of Allah to include the khutbah. 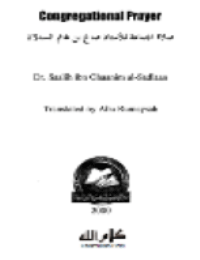 Ash-Shawkani (may Allah have mercy upon him) refutes the first argument by saying that hadith simply states the action of the Prophet (peace be upon him) and does not necessarily prove that such an action is obligatory. 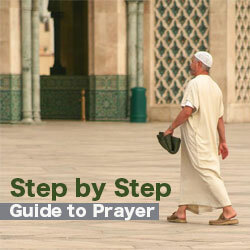 As to the verse, he regards it as simply a command to be present at the prayer which is obligatory and excludes khutbah… Regarding their argument relating to the commandment to “hasten unto the remembrance of Allah,” he says it refers to prayer only, which is the real cause for making haste. 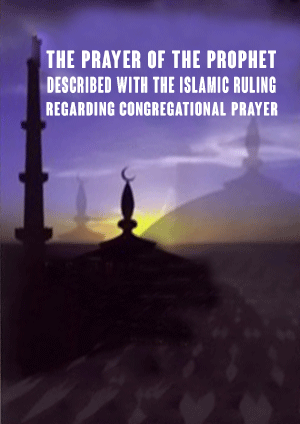 There is, however, an agreement that the Friday Prayer is obligatory while there is a dispute over whether or not the khutbah is obligatory. Ash-Shaukani concludes by saying that apparently the correct view is the one held by al-Hassan Al-Basri, Dawud az-Zahiri and al-Juwaini that the khutbah is only a highly recommended act. The imam should greet the people when he comes upon the pulpit, followed by the adhan (call to prayer) which is to be made when he sits. The imam should face the people during the adhan. 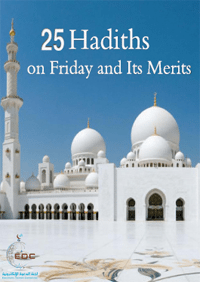 It is preferred that the Friday khutbah include praises of Allah, the Exalted, prayers upon the Prophet, admonitions, and Qur’anic recitations. Ibn Majah records from Ubay that the Messenger of Allah recited: “Blessed is He…” (Surat Al-Mulk) on Friday while he was standing. In Ar-Rawdah An-Nadiyah, it is stated: “Thus the required khutbah, in terms of Islamic law, should be modeled after the Prophet’s khutbah exhorting people to do good and warning them against dire consequences of the evil. This is the spirit of the address which the Islamic law has instituted. As to the other contents of the khutbah, like praising Allah, saying prayers upon His Messengers or reciting a portion of the Qur’an, none of these is its main purpose, which is to admonish people. 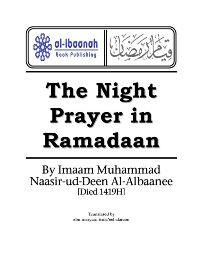 It has been customary among the Muslims [in the light of the Sunnah] that if one wanted to make some sort of proclamation, he would begin with praises of Allah and prayers upon His Prophet, or something of that nature. Still, that is not the purpose of the khutbah; indeed, the purpose is that which is said after praises of Allah and prayers for the prophet. If a person delivers a khutbah and confines it to only praising Allah and saying prayers upon the Prophet, his khutbah would hardly be acceptable. Any person with common sense could understand that. Shortening the khutbah and prolonging one’s prayer shows one’s understanding of religion, for such a person is able to comprehend and express much in a few words. 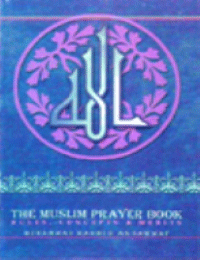 The majority of the scholars are of the opinion that it is obligatory to be silent during the khutbah, and one is not to indulge in conversation during the khutbah, not even if it is to order one to do some good or to stop some evil, and this rule applies whether or not the person sitting in the mosque can actually hear the khutbah. At-Tirmidhi records that Ahmad and Ishaq made an exception for replying to a salutation and responding to a sneeze while the imam is delivering the Friday khutbah. According to Ash-Shafi`i: “If a person sneezes [during the khutbah] and someone says: ‘May Allah bless you,’ I wish I could have accommodated it since such a reply is a sunnah. In my view it is disliked that a person should greet someone with salam [while they are listening to the khutbah]. [What makes it worse is] that his salam is not returned, even though saying salam is a sunnah while responding to it is obligatory. 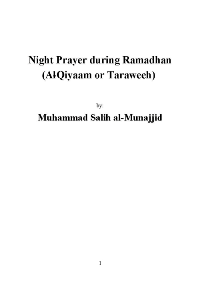 Quoted with modifications from Sayid Sabiq’s Fiqh As-Sunnah. Masha Allah. It is really inspiring to read such post. Islam has concerned many such lucky persons. 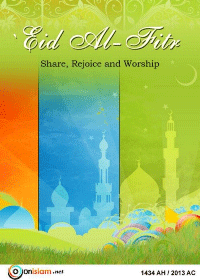 Islam means peace, peace from Allah and peace in this life and in hereafter.